Michael Meyers has been causing havoc for a quarter of a century now. And while he probably couldn't help being born with an evil side, that's a lot of havoc! He should have been laid to rest years ago. The guy has done a lot of crime but, honestly, he's received a lot of punishment too! He's been stabbed in the neck and the chest. He's been shot many times in mostly fatal places. If all his falls were added together he's basically fallen off the Empire State Building. He's died in a tower of billowing flame and a tangle of sparking wires. Basically, this is a guy who knows how to balance out crime and punishment! While we're super pumped about Jaimie Lee Curtis's tough Halloween comeback, we're also pretty pumped about Michael's distinctive new look. The metallic sheen to his classically shaped features is so on trend. We're sure he's been gearing up in some backwoods cabin all these years but we have to say, the man looks good! 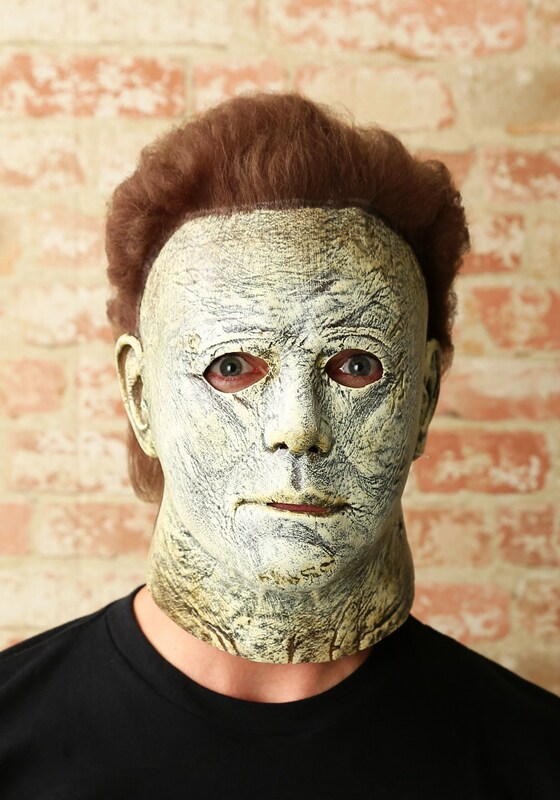 Dressing up as Michael Meyers will always be an autumn classic. His franchise is named after the holiday, after all. So whether you're updating your old jumpsuit with the new mask or you're ordering all the bells and whistles to fully transform, people are sure to instantly recognize this classic character as soon as you peak into the kitchen window.